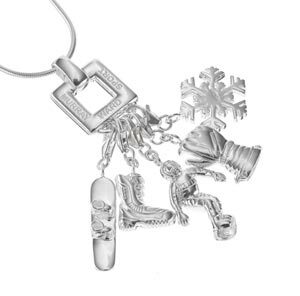 This gorgeous alpine charm necklace is intricately crafted to the highest standard from Sterling Silver. A choice of 3 elegant and detachable skiing and snowboarding charms allow you to customise your look with countless unique combinations. NOTE: YOU CAN ALSO PURCHASE A SINGLE CHARM AND CHAIN FOR £70! FOR DETAILS CONTACT THE OFFICE. • Weighing Approx. 32 grams. 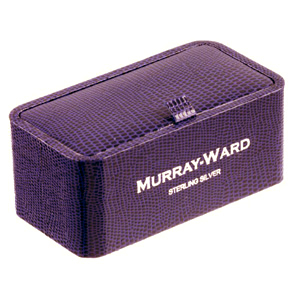 Bought with matching cufflinks, this makes the perfect wedding gift for the alpine obsessed couple.